The Home Ministry set out mixed roles for recently appointed Provincial Governors at celebrations connected with last Monday’s Independence Day. In different provinces, the arrangements were varied. In Uva, both Governor Marshal Perera and Chief Minister Chamara Sampath took part in the ceremonies. In the South, Governor Rajith Keerthi Tennekoon and Chief Minister Shan Wijeylal de Silva were present. However, Northern Province Governor Dr Suren Raghavan and Central Province Governor Maithri Gunaratne attended the ceremonies at the Galle Face Green. “It’s not you but your son who got married, isn’t it,” CBK to Mahinda. Ahead of India’s Independence Day last month, the Indian High Commission held a performance at the Cultural Centre at Bauddaloka Mawatha in Colombo. Present were two former Presidents — Mahinda Rajapaksa and Chandrika Bandaranaike Kumaratunga. When they were invited to light the traditional oil lamp, there were some awkward moments. Rajapaksa broke the silence by saying “Madam Kohomada” or “How are you, Madam”. Ms. Kumaratunga’s attention was focused elsewhere. Moments later she remarked “Congratulations.” Then she said sorry, sorry. “Oya nemei bandey. Oyage putha, ne,” or sorry – “It’s not you but your son who got married, isn’t it,” she said. Sri Lanka has figured as a political footnote in a major investigation of big-dollar donors who helped finance US President Donald Trump’s inauguration ceremony when he took office in January 2017. 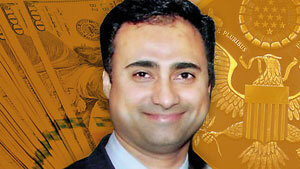 Imaad Zuberi: Agent for foreign govts. The focus of the investigation includes Imaad Zuberi, a California venture capitalist, who reportedly donated more than $1.1 million dollars to committees associated with Mr. Trump and the Republican Party. The donations included $900,000 to Mr. Trump’s inaugural committee. The donations are now being scrutinised by Federal prosecutors. The inflow of foreign money, if any, is a violation of Federal laws. Pakistan-born Mr Zuberi has figured in Police investigations into how then Monitoring MP for the Ministry of Foreign Affairs, Sajin de Vass Gunawardena, allegedly hired public relations firms in the US to promote Sri Lanka. This came in the wake of US then introducing a resolution at the UN Human Rights Council to probe alleged war crimes. It has transpired that Mr. Zuberi played the role of a middleman and benefited from large amount of moneys paid to these so-called PR firms. Mr. Zuberi’s company, Avenue Ventures, acts as a consultant and has offices in China and the United Arab Emirates, with investments in India and Bahrain. The donation apparently generated coveted invitations to black-tie dinners and photo ops with the US president and some of his high-ranking officials, including the chief of staff. According to the New York Times, Zuberi’s habit of trading on his political connections veered into his role as an agent for a foreign government. Citing a report in Foreign Policy magazine, the Times said that in 2015, “the scandal-plagued government of Sri Lanka paid a total of $6.5 million to Zuberi and another company linked to him, for services that appear to have included seeking to influence the American government.” The report also said that Zuberi belatedly registered as a consultant to the government of Sri Lanka, as required by law under the Foreign Agents Registration Act. Allegations that milk powder imported from New Zealand were contaminated with animal fat including pig fat, and palm oil, has led some MPs to raise concerns with Speaker Karu Jayasuriya over the milk being served in Parliament. Deputy Minister Buddhika Pathirana told Parliament earlier in the week that milk powder imported from New Zealand was contaminated in this manner. In response, Opposition MPs including National Freedom Front (NFF) Leader Wimal Weerawansa have called for the appointment of a special Parliamentary Select Committee to investigate the matter. Health Minister Rajitha Senaratne refuted Deputy Minister Pathirana’s claim, telling Parliament on Thursday that tests conducted on imported milk powder samples in local and foreign laboratories had both revealed the milk powder did not contain any substance except for milk fat. Mr Pathirana, though, stuck to his guns, repeating his accusations to Parliament on Friday. 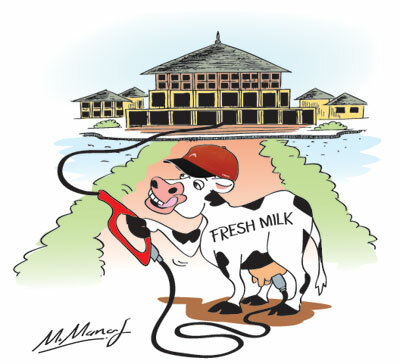 The Speaker meanwhile, revealed that in the wake of the controversy, some MPs had asked him privately about the milk being served in the Parliament complex. “I can assure MPs that we only serve fresh milk in Parliament and they need not have any concerns on that,” the Speaker said. United Nations spokesperson Stephane Dujarric last week made remarks on Sri Lankan peacekeepers during he noon briefing at the United Nations in New York. She said: “I’ve been asked about recent statements made in Sri Lanka regarding UN peacekeeping, and what I can tell you is that we have seen the media reports. Sri Lanka is a very important contributor to UN peacekeeping. The Secretary-General has condemned the attack against Sri Lankan peacekeepers and extends his condolences to the Government and people of Sri Lanka. “It is the policy of the UN that individuals and units deployed to UN peacekeeping by any member States, including Sri Lanka, are screened through a thorough and credible process in order to safeguard the integrity of our peacekeeping missions. President Maithripala Sirisena was at the Army Hospital in Narahenpita this week to receive treatment for a mild chest infection. This prompted him to cancel official engagements the same day in Batticaloa. He, however, flew to Polonnaruwa. Accompanying him were SLFP stalwarts Mahinda Amaraweera, Dilan Perera and S.B. Dissanayake, among others. President Maithripala Sirisena had a response to even his own Defence Secretary Hemasiri Fernando when he addressed the nation on the country’s 71st Independence Day last Monday. That was in marked contrast to Mr Fernando who declared that war heroes were those who have been recognised through the issue of medals and certificates. He made these remarks during a felicitation ceremony for him and Air Force Commander Air Marshal Kapila Jayampathy at their former school, Nalanda College. As senior government officials who were involved in the decision-making process of SriLankan Airlines and the now-defunct Mihin Lanka have been summoned to testify before the Commission of Inquiry, last Thursday, it was Central Bank’s Deputy Governor S. R. Attygalle who gave evidence. As Chairman of the Commission, retired Supreme Court Justice Anil Gooneratne, noticed, the ASG was armed with a written questionnaire. He wanted to make sure he did not miss any important point. Mr. Attygalle, who was appointed as Secretary to the Treasury during the 52-days of political crisis last year quipped with a remark as to how many marks he would be able to score in the ‘exam’. ASG Unamboowe shot back, saying that the results would be known once the Commissioners concluded the sittings and the final report was compiled soon.